If you walked into an arcade in about 1999, you would have seen the Crazy Taxi cabinet. It was almost everywhere. The fast-paced gameplay would eventually speak to the speed freak within all of us. I spent many of my precious pounds picking people up and dropping them off while attempting to find the quickest route through a busy city in Crazy Taxi. The phrase “Crrrrrrazy Taxi” alone would often catch my highly-tuned sense of hearing (tuned to video game themes in arcades - it made locating them easier), and off I'd wander to find out where, in the maze of machines, my fix was. Releasing expansion packs at a frequency that challenges a machine gun's rate-of-fire is an old practice, and despite the (disputed) push toward DLC, has not been entirely forgotten. 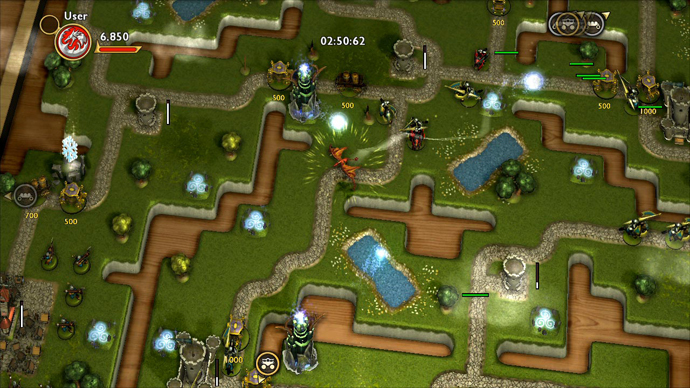 Majesty 2 establishes the player as King of numerous outposts and towns, and through a supremacy-styled campaign, he must conquer monsters and overlords of each map. By using indirect control of heroes - such as beacons with gold coin rewards - our player acts somewhat equivalent to a Dungeon Master / Game Master for tabletop RPGs. That is, you put rewards on BBEGs (big bad evil guys), pray that an adventurous group of wizards and warriors will compete for the rewards, and repeat. The formula is elegant and simple, and makes for a distinctive play opportunity to perform from the throne room (as opposed to being 'the hero,' as is typical in fantasy games). If there was one game on the Xbox Live Arcade Marketplace that I would have, without a shadow of a doubt, proclaimed that I would never play - it would have been Faery: Legends of Avalon. The cover, the synopsis, the screenshots, even the trailer: it's the kind of game you'd feel embarrassed about playing, just for the title. Then, as if the gaming God himself had come down and demanded that I stop thinking such thoughts about a product that people had worked hard on, Gamers Nexus was contacted by one of our nice PR contacts and asked if we'd be interested in reviewing Faery: Legends of Avalon. Being the generous, kind-hearted, soul I am, I knew that our loyal readers wouldn't have been able to go a week without reading about the thoughts streaming from my brain, so I decided to give it a good honest go. Rushing through small towns causing fear and panic as you utterly destroy everything in your path, compiling an incredibly massive mound of cold, hard gold, and stealing princesses straight from the castle. Life never gets any better than this! ..Or does it? Try doing all of this as a terrifying dragon in Hoard. I mean, it was great on foot - but as a dragon!? Like any other dragon, your one and only goal is to amass as much gold as possible within a time limit. From burning villages to destroying wizard's towers, you'll uncover gold piles and gem stones that you must take to your hoard. It's not easy though: you've got competition, and it's fierce. Other dragons will attempt to expand their own hoards and prevent you from doing the same. It's only business to attempt the same; entering the free for all are knights and archers, out to rescue the fair maiden from your clutches and defend their human settlements. Better yet, multiplayer makes it possible for even more dragons to compete for gold! Arrgh Maties! Best turn yer sails an' flee before ye' accidentally end up playing this game. No, seriously. Woody Two-Legs is a game with artful charm, and opens with the pirate (Woody Two-Legs himself) convincing you he's worth your time, and his intentions are reinforced with gold. Woody managed to finally gather up some gold in his travels and now he merely seeks to bury it humbly under the ground. It is here that the to-be antagonist makes his entry - and Davy Jones wants his gold back. Woody (that's you) has to fend off a couple of waves of Jones' minions - each wave is completed by slaying a mini-boss, inevitably leading to the release of a Kraken and finally, Davy Jones himself. All this effort just so Woody can bury his gold under a red X. Sounds like quite the daunting task for a washed up pirate, right? Wrong. The game's largest set-back is simply difficulty. As the virtual mayor of a city, you undertake enormous building projects that lead to the ultimate metropolis. Cities XL 2011 is a new form of SimCity - but with lots, lots more people. You don't need to be an economics major to figure out the inner-workings of city building simulations, but you do need a little bit of patience. Cities XL 2011 adds to the foundation set by Cities XL, this time offering more buildings, maps, and improvements to the interface. 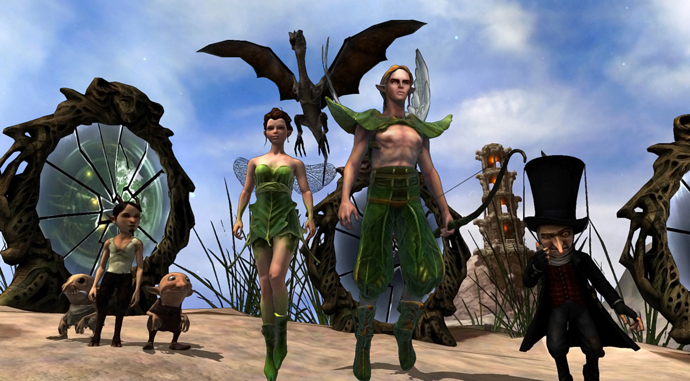 Oddly enough, the original game was widely advertised as an MMO City Builder, but its 2011 variant had no multiplayer to be found. After choosing where you'd like to expand your empire -- err, city, you set out to connect your city square (the town hall, in effect) to civilization: build roads, set up infrastructure, and prepare to put that civil engineering degree to use. Costume Quest was one of those games that truly snuck up on me. I pride myself on keeping up-to-date on all the things entertainment, especially when it encompasses the industry that pays me! That in mind, imagine my shock when I found out about the development of a game from one of my favourite developers only three days before it was due to come out! Yeah, uhhh... Dropped the ball on that one. Double Fine is led by the now-legendary Tim Schafer, best known for imbuing greatness within such titles as The Secret of Monkey Island (with the help of Ron Gilbert and Dave Grossman), Grim Fandango, Psychonauts, and most recently, Brütal Legend. Biting the pointy ear clean from a taunting elf's temporal bone, stopping to drink the refreshing blood, and then stampeding down the field with a spiked ball tucked safely under the armpit of an Orc: that's Blood Bowl. However, Blood Bowl: Legendary Edition is a bit more sophisticated; the new release encompasses the sprawling expanse that is Warhammer's race system. In total, there are now twenty playable races - eleven of which are fresh to the pitch, to include: Norse, Undead, Ogres, and Amazon. According to the previous titles of WWE games I'm supposed to “Know my role” and “Shut my mouth.” I don't take kindly to demands. I've been a fan of wrestling ever since I can remember. I vividly recall thinking the 'unannounced visits' from Hulk Hogan or other superstars were truly unexpected. Unlike the Easter Bunny or Santa though, wrestling never got worse once I finally realised that it was all staged. I never doubted the skill required in wrestling, but I did know that when Hulk Hogan hoisted chairs over his head and initiated the pummel sequence, the target was fully prepared for his impending 'doom.' It was this synergy between wrestling and theatrics that compelled me to obtain the very first WWF: Smackdown! game in 2000. I played that game until the characters were burned into the memory banks of my brain; everything was there: the histrionics, the dramatic entrances, the signature slams, and most importantly, the finishers. There was nothing better than watching the little cutscene as The Undertaker grabbed The Rock and executed the Tombstone Piledriver. I cackled with glee when my brother's face reacted - he could do nothing to halt my imminent victory. Yuke's has consistently released wrestling games every year, and this year's iteration, WWE Smackdown vs. Raw 2011, promises to have the same crunchiness of the past coupled with the advancements of this generation's gameplay. The experience Yuke's gained from UFC: Undisputed 2010 added immeasurably to the development of Smackdown vs. Raw.